This Boeing 747-212B (built in 1973, N485EV) flew until 2012 for Evergreen International Airlines and was shut down after their bankruptcy. 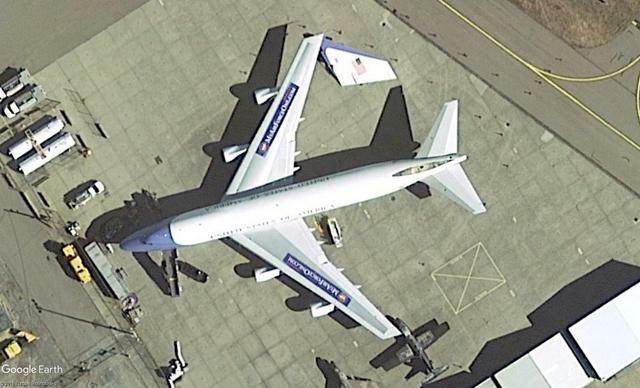 She got new life, albeit not in the air, at the Quonset Point Air National Guard Station, where she was redesigned as the Double of the Air Force One (AF1 28000). 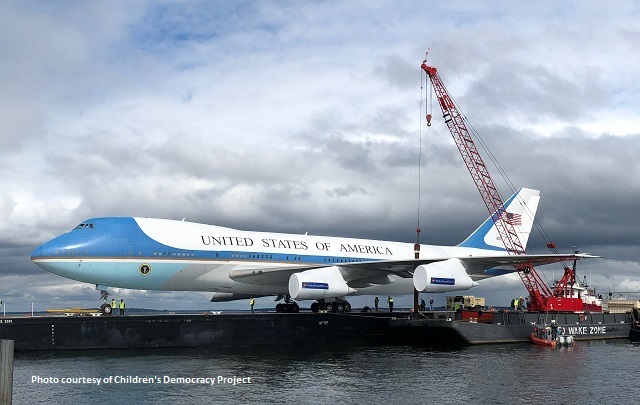 The 747 is part of the Air Force One Experience, an exhibition by the Children's Democracy Project in National Harbor, Maryland, which promises visitors the thrill of POTUS travel and get to know the story of Air Force One. On October 1, 2018, she will arrive in National Harbor by barge.